By Marnie Craycroft Filed Under: Outdoor Education Tagged With: Gardening This post may contain affiliate links. Please read my disclosure for more info. Anyone else obsessed with seeds? No? Well, in any event, I thought you might appreciate a ready to go list of activities with seeds. So here you go. Well, wait, before you begin, check out this beautiful Children's Books about Seeds. Germination Activity – Seed in a Jar from Teaching Mama is a classic, not to be missed activity. Easy to put together and great for observation! Make a Seed Collage from Carrots Are Orange is a fun hands-on art activity for spring. Use those seed catalogs and work those fine motor skills as kids cut out seeds and make their own beautiful creation. Every Star Is Different's Measuring Out Seed activity is creative and packs a punch with true garden learning. Fine Motor Work with Sunflower Seeds from Teaching 2 and 3 Year Olds might be the most perfect fine motor activity for kids. 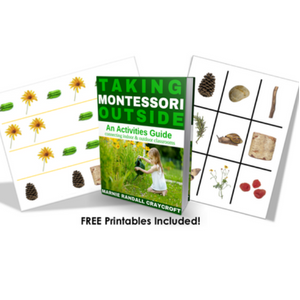 Introduce Parts of the Seed with these awesome and engaging activities for kids! This post comes packed with ideas for an entire mini unit! Exploring Chia Seeds from Powerful Mothering embraces one of my all-time favorite sensory material: the chia seed. Seriously, have you guys felt this stuff? Beautiful and inviting to kids. The sound is gentle and the feeling is irresistible by most! Check out this Seed Matching Activity from Carrots Are Orange! Kids will love to match seed vocabulary with the image and the real seed! Perfect for age and developmental range of children! Are All Seeds the Same from Fantastic Fun and Learning is a wonderful invitation to learn and to explore. Kids love using magnifying glasses and love the fact that a seed can look and feel so different from another seed. Not to mention that a seed begins so tiny and grow into food for us to eat. Foods with Seeds Science Learning from Fantastic Fun and Learning is a fun activity. Kids get to explore the HUGE seed of an avocado and the tiny seed of strawberry and peppers, for example. Lots of why questions happen with this activity so be prepared! Mosswood Connections' Make a Flower Seed Pack activity is perfect for Mother's Day! Plus kids truly make the connection of seed to soil to plant because they can plant the seeds with a family member! Maple Seed Art from Crafulate leaves loads of space for creativity and imagination for all ranges of children. Maple seeds are versatile and allow kids to be unique. Egg Shell Seed Growing from Little Bins for Little Hands will rock kids' gardening world. Plant a seed in an eggshell not only teaches botany but it also provides a lesson on the environment. I consent to receiving emails. Yes! Take My Learning Outdoors!